I was inspired by the two lovely ladies below! Go view the other Vlogs here or here! This is fabulous Coutrney!!!! I always love wathcing vlogs, it just b puts a voice and face to the words that I read every day! It's been on my to do list for awhile...so maybe I will get to that once day :) Thanks Courtney! Hi Courtney! Come to say 'hello' from the vlog link-up. Girl, you are a pro vlogger....my goodness! So well spoken, open, and honest. Loved your message about making the husband and your marriage a priority. Awww…thanks so much! I certainly don't feel like a pro…considering this was my first one ever, but I do appreciate your sweet comments. Thanks for visiting! I loved your vlog Courtney! I feel like I know you a little bit now! I have been thinking about trying one for a while now, it's such a great way to connect a little more. I loved your little punkin in the background too. :) xox! loved your vlog and pretty sure we would be friends in real life :). I'm learning so many of those things too and have a daughter who is 3 and still pushing those boundaries. motherhood is a daily--minute by minute portrait of God's patience and grace to us. thanks for linking up and many blessings! :) Thank you so much for visiting! And your sweet comments! Come back soon! :) Thanks for visiting and your thoughtful comments. And wooing me ;) So cute! Courtney, what a wonderful first vlog. thank you for sharing your thoughts. You are very inspirational. I loved your vlog!!! It's nice to "meet" you this way! I think being able to put a voice with the face helps so much! I love your list of things that you are learning. I am learning in a lot of those same areas right now! So glad to meet you this way too! Here from VoiceBoks, thanks for sharing! Love your daughter's background music! I've always loved the sounds of a happy baby! My boys are 14 and 12 now, so they don't sound so cute anymore, but every stage of childhood has its own wonders! Girl so happy I saw your vlog! Isn't it awesome when you gain more confidence as a blogger? I love this because I'm ok with who I am and what I have to offer even though i was SCARED to DEATH to try this. Like you said this is my thing,,,the ONLY thing that is my thing. Haha! Good job girl! Awe Yay! I'm so glad you vlogged with us!! You are so cute! Consistancy in parenting is so important and something I am also currently learning. Thanks for linking up! Thank you so much for hosting this! Great idea! I LOVE THE VLOG! Totally keep it up! Yay! Thanks Cynthia! :) Perhaps I will do another sometime! Hi Courtney!! You beat me to the punch! lol!! I loved you vlog. As I stated you beat me to it... I too have been thinking of doing this... so often we read each other's blogs, getting a glimpse of what other's lives are like... and to actually see and hear each other ... well it's nice to put the voice behind the blog! Thank you for sharing. Great Vlog! I've learned the same thing about not neglecting my time with my husband when it comes to my blog. So nice to meet you! :) Thanks so much! Just cause I got there first doesn't mean you shouldn't do one! Let me know if you take the plunge! It was a lot of fun! Love it! Having a vlog definitely adds another layer to a site making it even more personal. You're inspiring me to do the same. Very cool doll. God is great and I'm glad you can see that and what you learned and what you need to do. I'm right there with you. Hi, Courtney! This is my first time visiting you! (I found you through the link-up.) I, too, am learning to create some boundaries when it comes to blogging and making time for my marriage. It's so important, and I keep finding myself sucked into blogging when I should be making time for other things. Thank you for sharing! Grace: so hard. So crucial. And I think it's key that we learn to extend grace to ourselves as well, because we fall, so often. Love that you're learning, too, to really find yourself in your own skin while blogging. It can be so tough to really be ourselves on this platform, but like any other aspect of our lives, it's so crucial. We cannot form meaningful community if we aren't authentically ourselves. I'm still learning what that looks like in my life, how Annie the blogger represents Annie in real life without compromising my integrity or my privacy. What a great addition to your blog! Hi *I am waving at you*. Boundaries. I am always working on this. Best wishes to you! :) You crack me up. Thanks Val. This is the first vlog I have watched! It's interesting how much more effectively it connects you to your readers. Really powerful! I think I'll try this on my blog. Thanks for sharing! Thanks for watching and visiting! :) I'd love to see more of these myself! Do it!! Aww thanks Erin! I am glad we have connected through this link-up! So fun! Oh Courtney! How have we not officially "met" yet? You are beautiful inside and out and I LOVE your vlog. Thank you so much for your authenticity. I really appreciate that in a blogger and I love that you seem like someone I could easily enjoy conversation and a cup of coffee with. I have been wanting to put some video of myself on my blog for the longest time but for some reason I've been too concerned with having a 3yr old in the background making noise or interrupting the vlog and you just showed me that I don't need to be worried about that, because she is a part of me and part of my life and my readers will love me and love my daughter just as much, even if she decides to crawl in my lap while I'm talking. Lol! It's all about revealing our true selves, just as we do in our writing, but on video too! Thank you, thank you, thank you for the inspiration and for allowing God to use you through your passion for writing. I look forward to following more of your blogging journey. Blessings to you, dear sister in Christ! Aww, I love this so much! You are the cutest, frand! 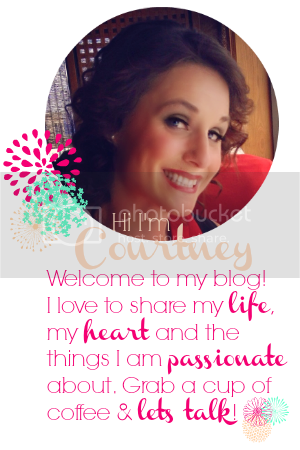 Wow, so glad I found your blog through the link up! Your perspective is so sweet and genuine. Looking forward to getting to know you better! Thanks Chelsea for visiting! I can't wait to get back to the link up today and check out some of the videos I've not yet seen. So glad you came by!